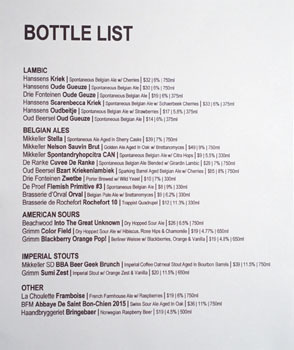 Downtown's beer scene got a shot in the arm recently with the opening of our very own Mikkeller Bar on February 10th. 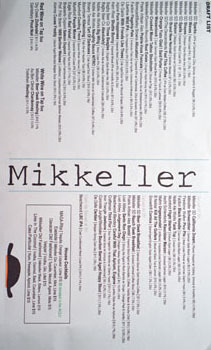 For the uninitiated, Mikkeller was founded back in 2006 in Copenhagen by high school teacher Mikkel Borg Bjergsø and journalist Kristian Klarup Keller (who left in 2007), both of whom were previously home brewers. It's the prototypical example of a "gypsy" brewery, known for its experimental nature and sheer number of beers produced (over 900 at this point I imagine). 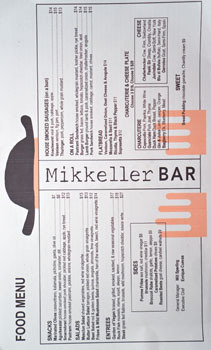 The first Mikkeller Bar opened in Copenhagen in 2010, and LA follows subsequent locations in San Francisco, Bangkok, Seoul, Barcelona, Aarhus, Singapore, Taipei, Stockholm, and Tokyo. 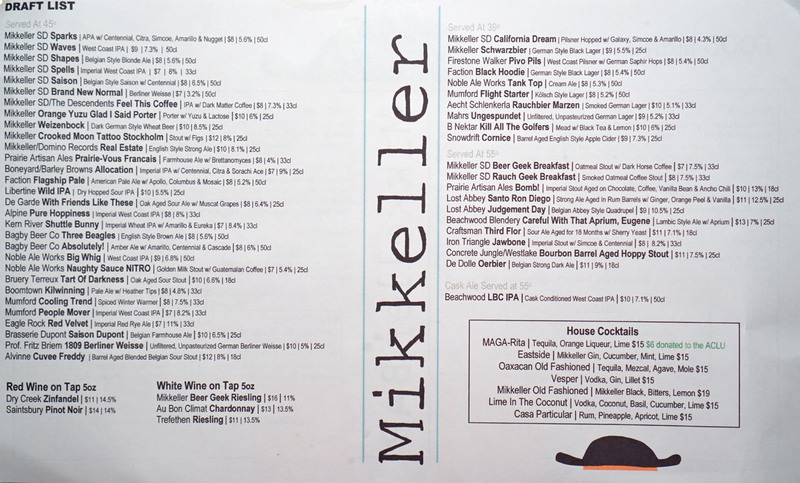 Here, Mikkeller's teamed up with Chuck Stilphen, who's also a partner at the SF outpost. Executive Chef duties fall on Enrique Cuevas, an alumnus of Spring, Church & State, Alinea, Picholine, Anthos, La Toque, Google, and The Havana Club at Miami City Club, while Will Sperling (Lantern Hall and The Clocktower in NYC, The Craft Beer Co in Brighton) serves as General Manager. 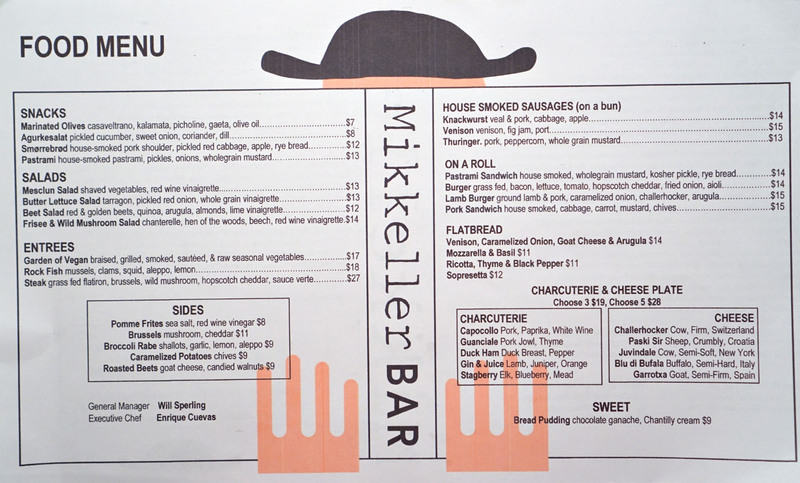 Mikkeller Bar resides in former home of Discount Tire. The 7,600 square-foot space has been completely redone, and is designed to handle about 150 patrons between the communal high-tops, booths, and bar seats facing the street. There's also a private room that can accommodate 20. On the other end of the building is the Kaffebaren, a daytime-only cafe that had already closed by the time we arrived. 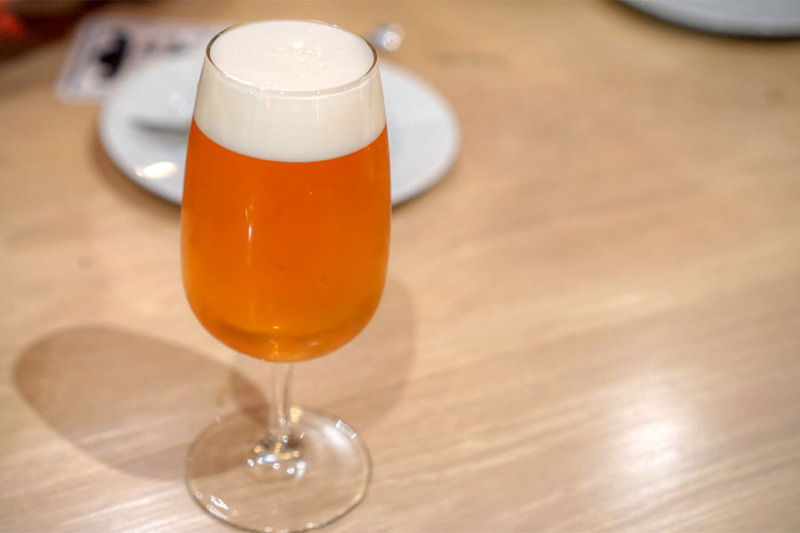 Menu-wise, Cuevas has elevated, Eurocentric beer-friendly fare that's definitely a bit fancier than what one typically encounters at your usual brew bar. 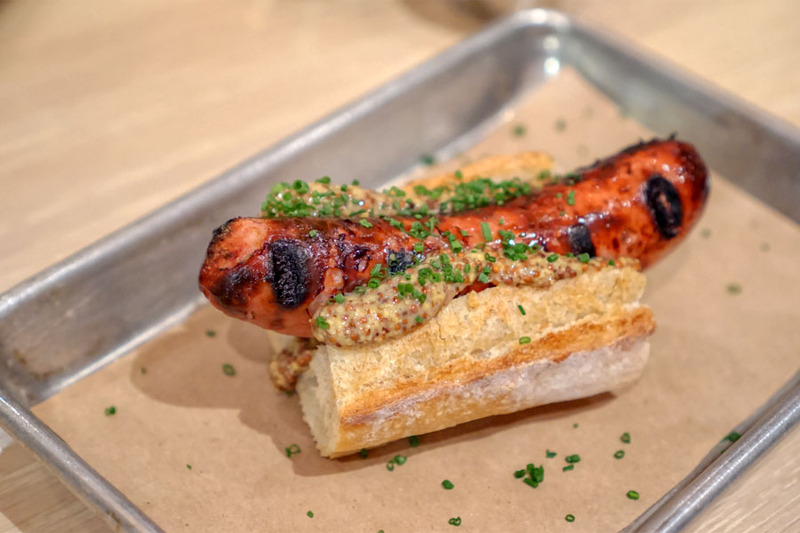 The smoked meats, though, are apparently the work of Andrew Horza from Copenhagen's Warpigs Brewpub. 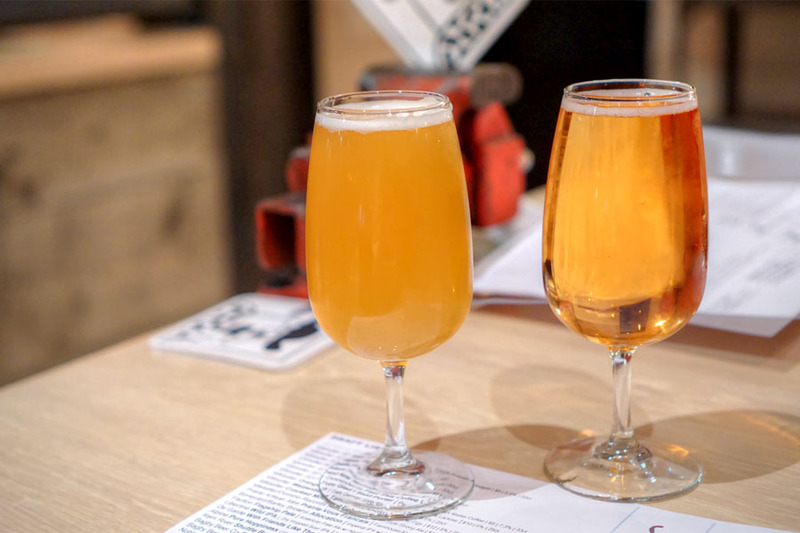 For beer, you'll find 50 taps featuring Mikkeller as well as a number of other craft-y choices, both local and not so local. There are also bottles available. In addition, cocktails are an option, and there's a smattering of wine on tap too. Click for larger versions. Drink-wise we started with a few cocktails. I was a bit unsure of this one, but it turned out surprisingly well. 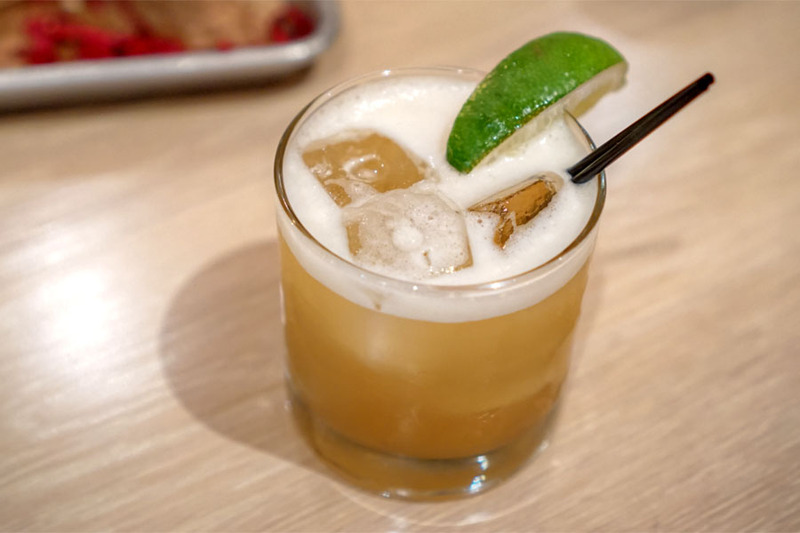 I got rich, viscous coconut flavors all over the place, offset by tart lime and a zesty, almost ginger-y element. Stacked high, the pork sandwich was a strong effort. 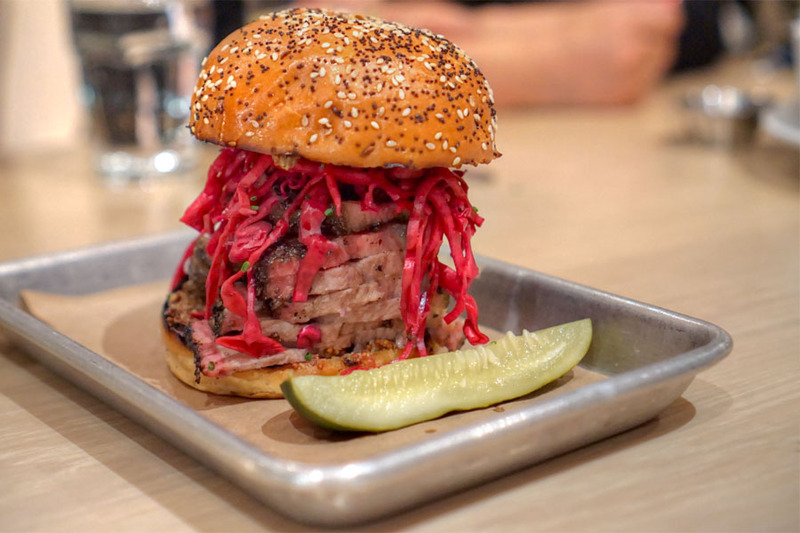 The meat itself ate tender, fatty, with a healthy dose of smoke and spice that was offset by the tangy crunch of cabbage. This take on the most classic of cocktails worked itself out. Nose was light, tangy citrus and caramel. The taste brought more rich caramel-like notes commingled with spice, bitterness, and a lasting booziness. 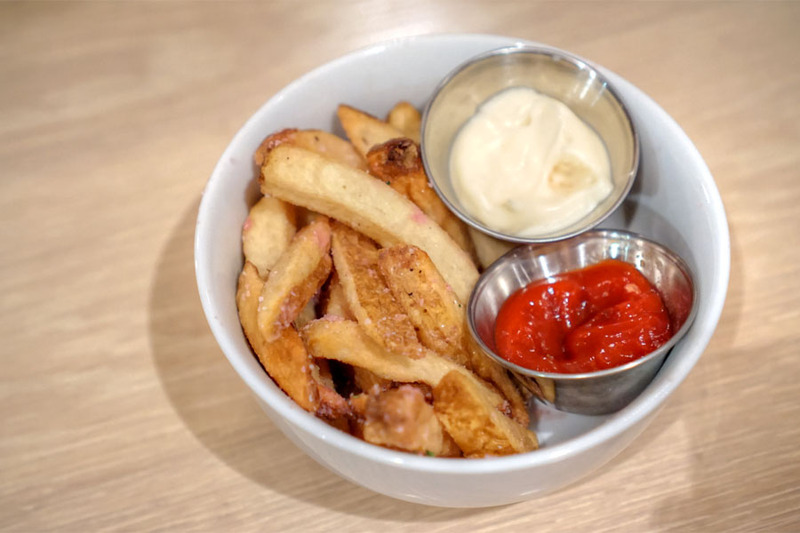 Frites were a touch mealy unfortunately, but did deliver in the taste department with their salty, tangy flavors. I will warn that the photo above doesn't depict a full portion, as some of my dining companions had gotten to the fries before I did. Our sole salad was a success. 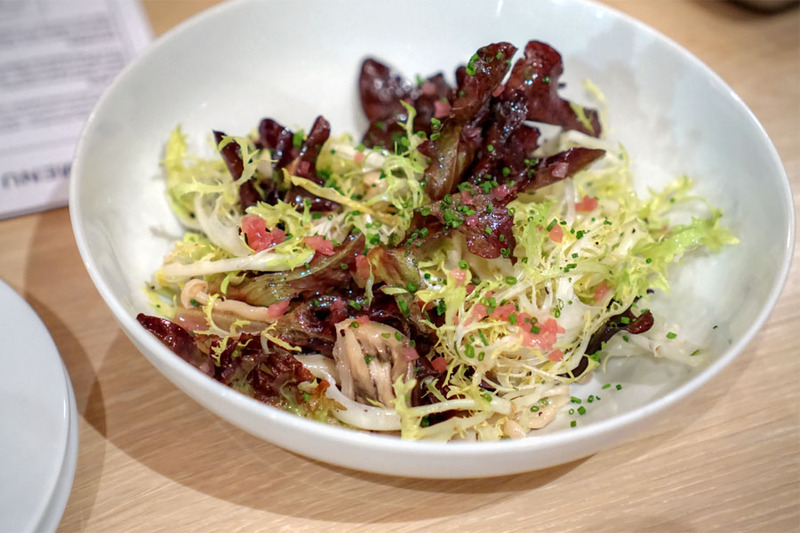 Big fan of how the savoriness of the 'shrooms worked with the tartness of the vinaigrette and overall peppery notes in the dish. Our third and final cocktail was pretty tasty, too. 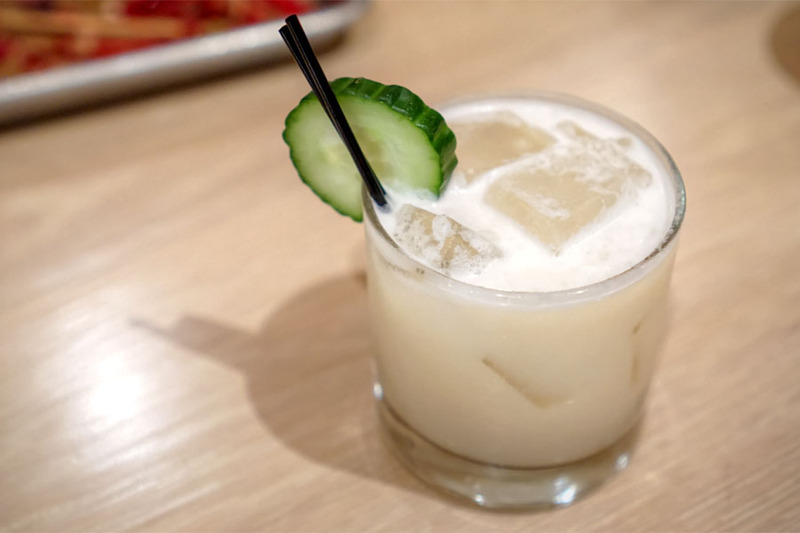 Think rich, sweet, tropical fruit, evened out by pricks of lime and the heat of rum. 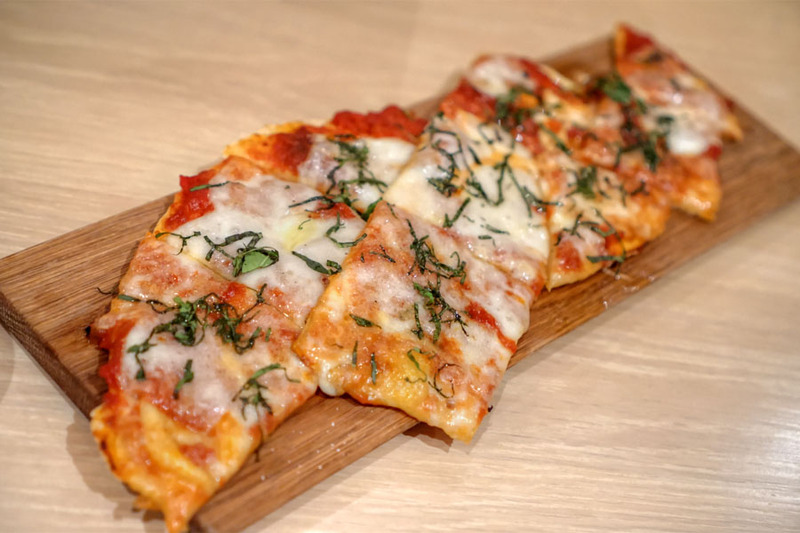 The flatbread wasn't particularly engaging, but worked decently enough. Lots of tomato notes here, paired with somewhat muddled flavors from the cheese and basil. Time for some beer. I was immediately drawn to the De Garde With Friends Like These [$8], an oak-aged sour ale with late harvest Muscat grapes created in collaboration with Jackie O's. Delicious aromas of sweet grape with a smidge of yeast. The taste went funky, grapey-sweet, tart, with a very appealing softness to it--nice! On the other hand, we had the Snowdrift Cornice [$9], an English-style apple cider aged in oak. Smelled of sugary apple and subtle oakiness. On the palate I got more sweet apple, joined by tart, tannic qualities and an herbaceous element. Brussels were beautifully textured, their bitterness joined by the earthiness of mushrooms and an almost horseradish-like tang. The cheese was unexpected, but it worked. Our first of two sausages was a winner. I was into its smoky, peppery, snappy casing and supple, delicately spiced insides. Mustard, meanwhile, worked as a natural accompaniment. 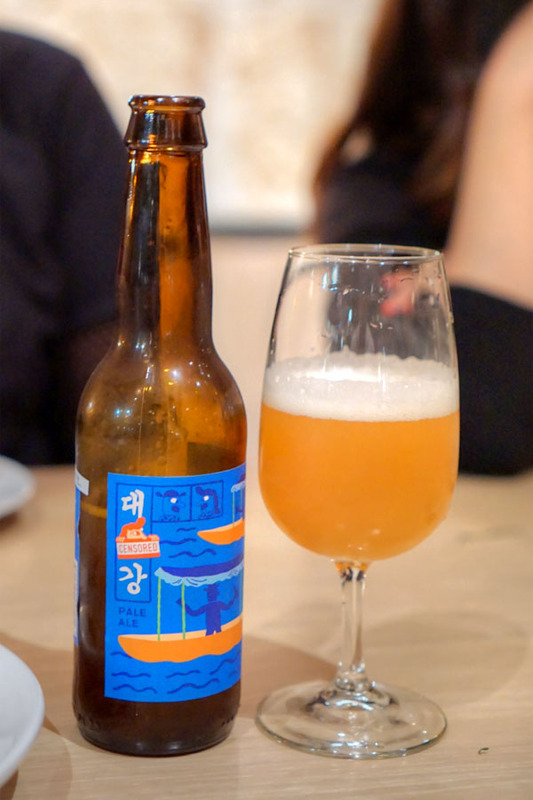 The Mikkeller Taedonggang was a pale ale from South Korea, created in collaboration between Mikkeller and Daniel Tudor's The Booth (a small chain of craft beer bars). Aromas were hoppy at first blush, backed by sweet malty notes and a citrusy edge. 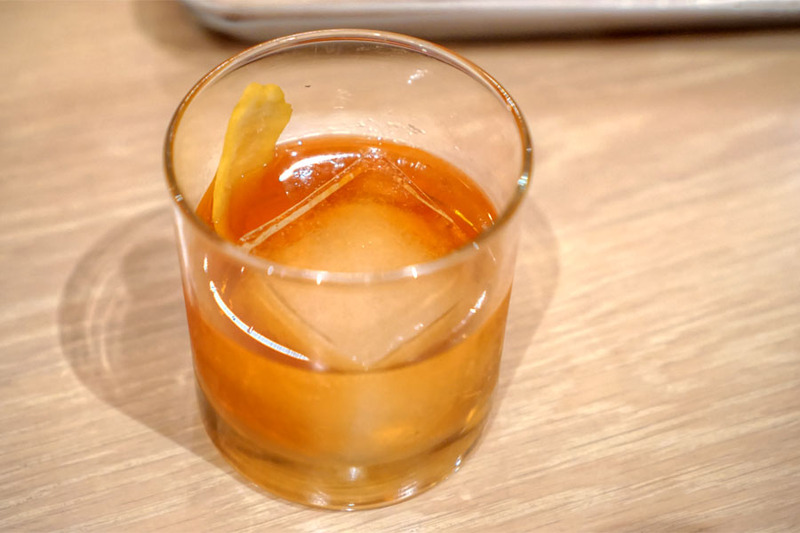 The taste was more aggressive, bringing a marked bitterness and pine-y character to the forefront. 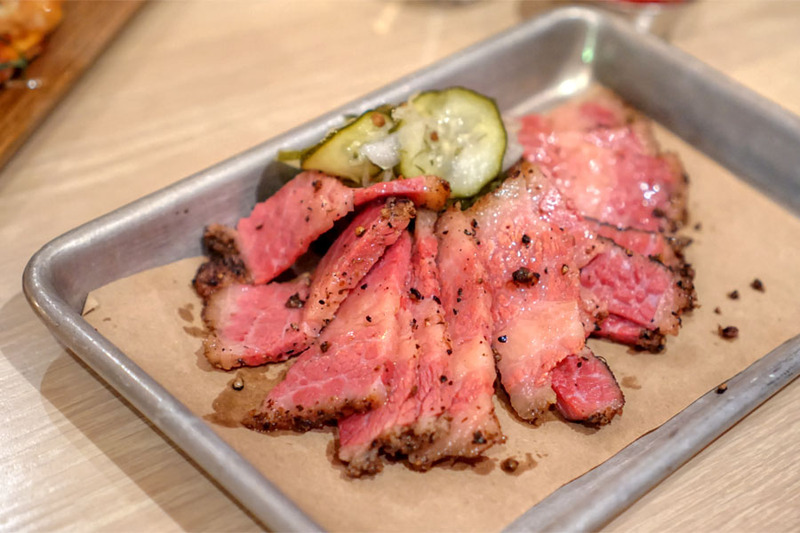 The pastrami certainly satisfied: fatty, soft, juicy, with plenty of smoke and spice. Mustard and pickle worked as obvious counterpoints. 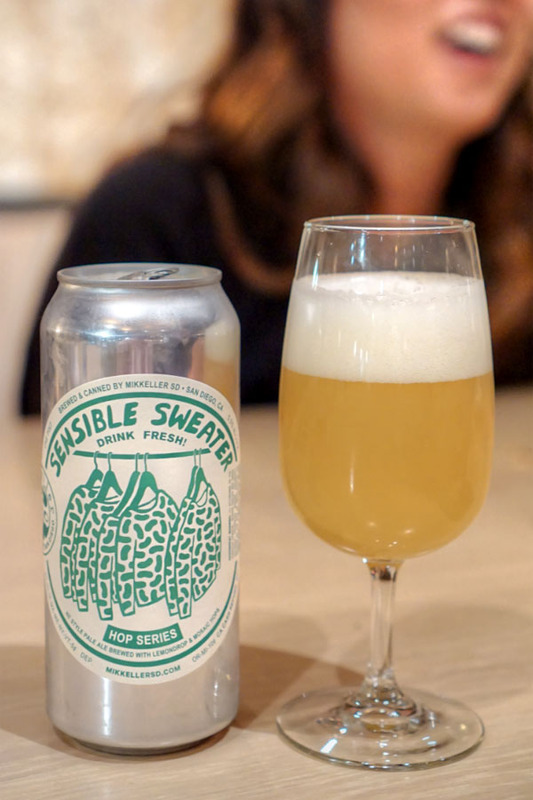 Next to drink was the Mikkeller San Diego Sensible Sweater, a northeast-style American pale ale with Lemondrop and Mosaic hops that was brewed at Mikkeller's new facility down in San Diego (a.k.a. the old AleSmith). This one smelled great, giving up juicy-sweet citrus with an underlying bitterness. The palate went in a slightly different direction with its super hoppy, grassy disposition and caramel-y undertone. 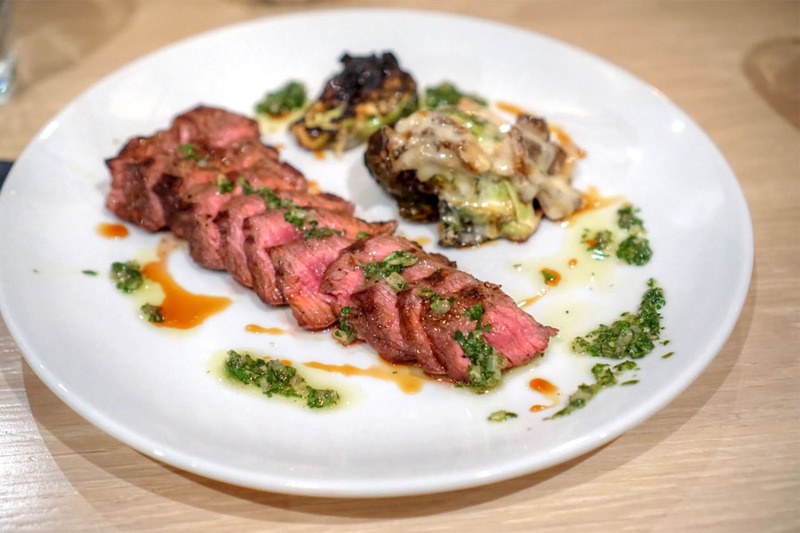 Not surprisingly, the flat iron was a touch chewy, but fortunately really delivered in the taste department. I quite enjoyed it. 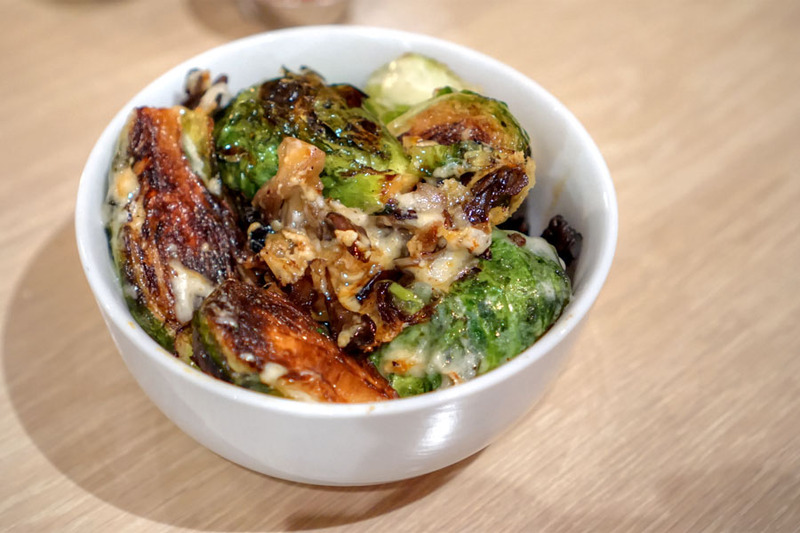 I liked the brightness of the accompanying green sauce as well, while the Brussels were basically the same as what we had above (i.e. very tasty). 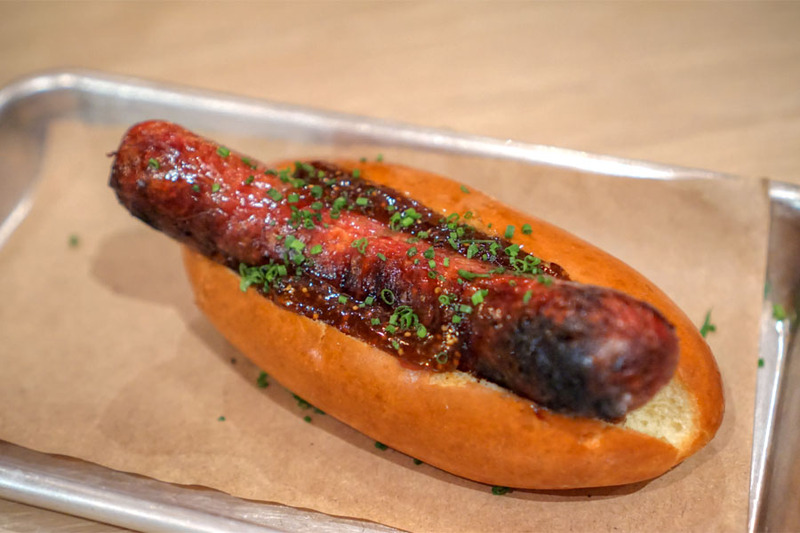 A venison sausage was more rustic in nature: full-flavored, grittier, charred, with a sweetness from the jam that made sense. We ended with the Noble Ale Works Naughty Sauce Nitro [$7], a golden milk stout with Guatemalan coffee. Loads of aromatic coffee here on the nose. The taste showed off more of the same at first, but also had a somewhat vegetal character that I wasn't as keen on, as well as the expected creamy-sweet notes. 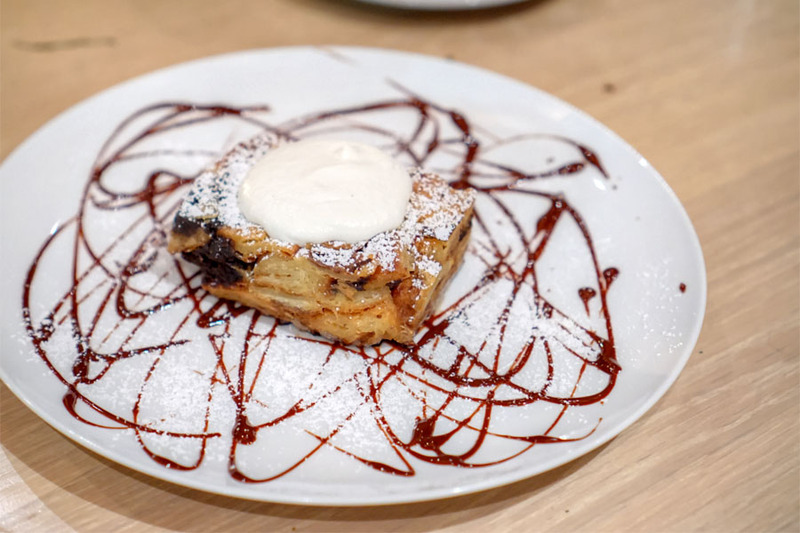 The lone dessert option was this hot, crisp, chocolate-y bread pudding that we made quick work of. I think we were generally quite happy with our experience here. 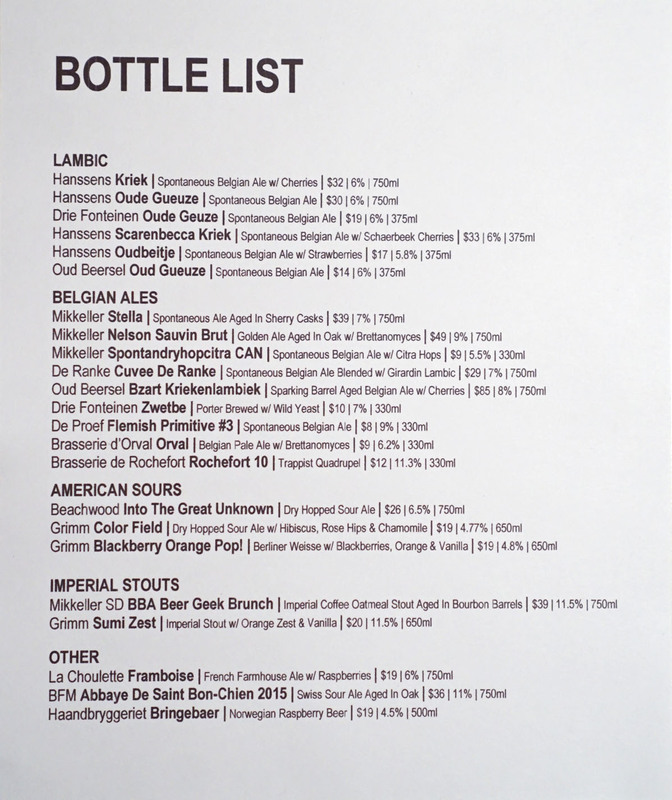 The beer selection's certainly worth checking out, and I actually wish I'd been able to explore it a bit more. Food-wise, I'll say that the cooking here's a cut above what you'll find at most beer bars, so I applaud them for that. A nice spot overall--I'd probably come here fairly often if I lived in the area. Not a fan of this place. Pricy but looks so good! Guess we will have to try it this weekend! Right now I am eating private reserve Korean fried chicken with top shelf beef ribs. Holla at me playa. Love their beer selection and it's worth a visit for that alone. The food is pretty uninspiring and overpriced.